Beyer Psychology Services is based in Sophia House on Cathedral Road. See here for full address and contact details. 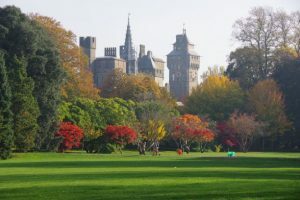 The premise sits adjacent to Sophia Gardens, and is a short walk from Cardiff Castle, the Millennium Stadium, and the shops and café’s of Cardiff City Centre. 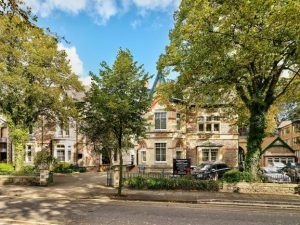 Getting here: Sophia House is a few minutes walk from Cardiff Central Train Station and has excellent bus links with several routes stopping along Cathedral Road. We can be easily reached by car and there is parking available near by. Parking: There is no visitor parking available at Sophia House itself but there is a large pay and display car park at Sophia Gardens around the corner. There is also some on street parking available along Cathedral Road. What to expect when you arrive: Sophia House consists of two buildings and is well signposted from the road. The reception is clearly signposted at the front of the left hand building. When you arrive for your first appointment just give your name at reception and let them know you are here for Beyer Psychology Services. I will come to meet you at reception and show you to the clinic room. If you have any questions or worries about what to expect then do get in touch.